Fish farmers in Timor-Leste celebrated their harvest of genetically improved farmed tilapia (GIFT) on 23 August 2018. A total of 253 farmers successfully completed at least one production cycle of GIFT during 2017–18. The Partnership for Aquaculture Development in Timor-Leste (PADTL), a five-year project funded by the New Zealand Aid Programme, has played a crucial role in diversifying rural livelihoods in the country through the promotion of sustainable aquaculture. 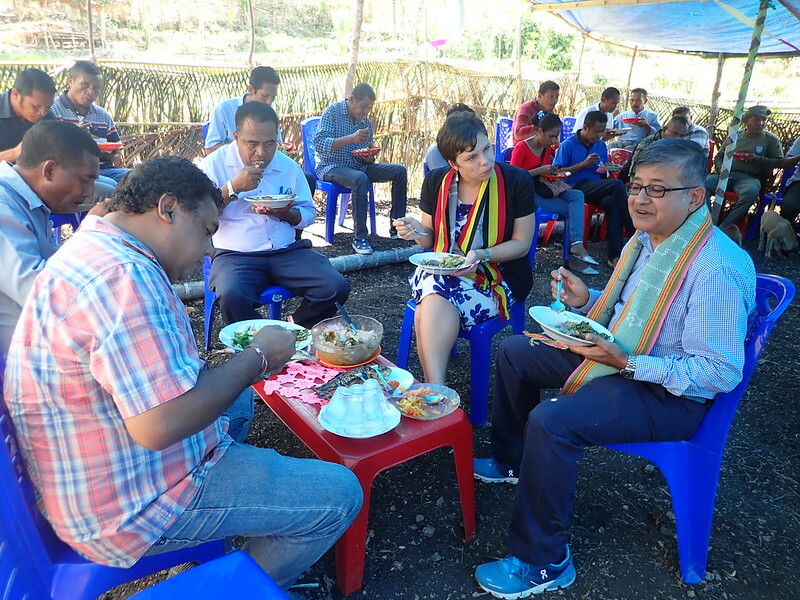 On 23 August 2018, the project farmers celebrated their harvest of genetically improved farmed tilapia (GIFT). 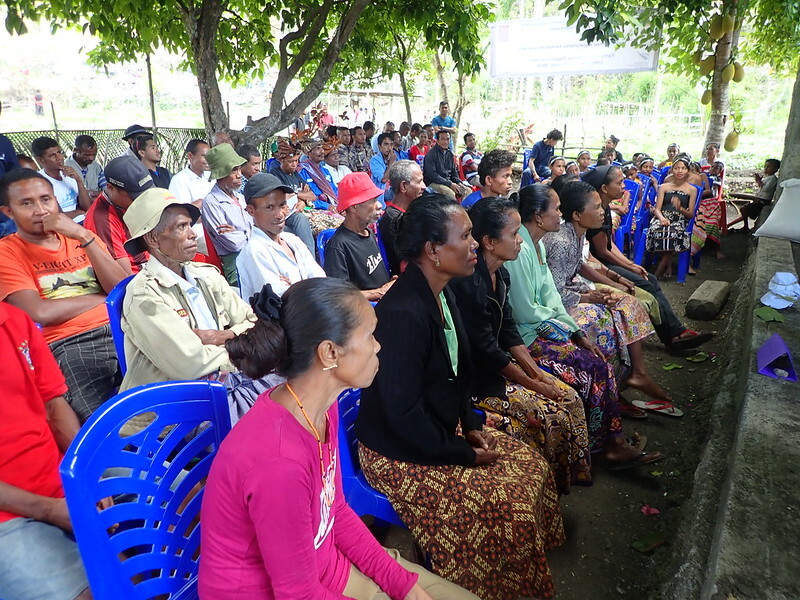 A total of 253 farmers, who are organized in nine clusters in Ermera, Bobonaro and Baucau municipalities, successfully completed at least one production cycle of GIFT during 2017–18. The celebration, which was held in Sucu Leohitu in Bobonaro municipality, was attended by farmer and government representatives, the private sector, I/NGOs and WorldFish staff. Activities included sharing GIFT farming and farmers’ field school (FFS) experiences, and discussion on the way forward for the intensification of GIFT farming, harvesting and selling. 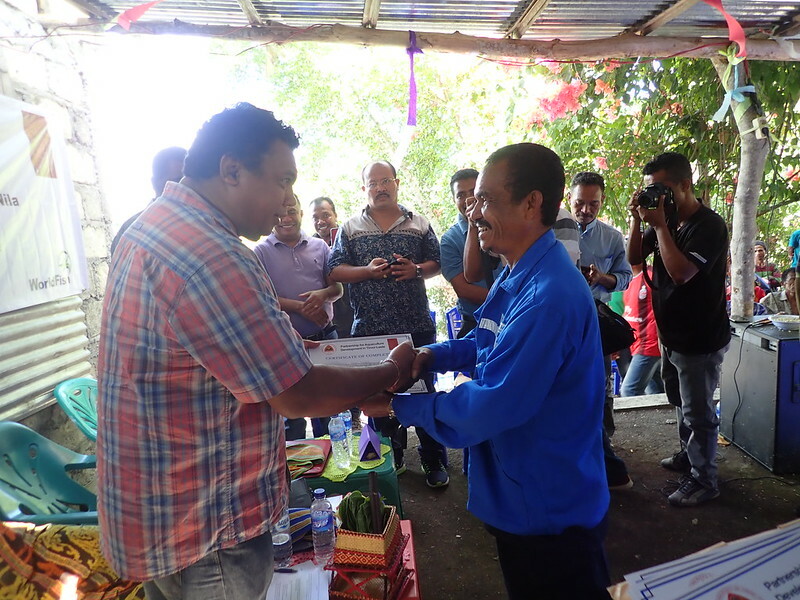 Farmers who had completed FFS training sessions on better management practices (BMPs) in GIFT aquaculture were also presented with certificates. WorldFish through FISH introduced FFS, a modular training employing a participatory approach. Unlike conventional training, the FFS sessions, co-facilitated with the Ministry of Agriculture and Fisheries, were synchronized with ongoing aquaculture activities on the farm so that farmers could immediately apply the knowledge and skills acquired. Hands-on training provided farmers with more confidence in BMPs in topics ranging from pond and feed preparation to fish harvesting and marketing. Farmer representatives at the event confirmed the effectiveness of FFS in the successful adoption of GIFT farming. Besides their success in fish farming, FFS participants have played a crucial role in validating the training model for wider dissemination. Speaking at the event, H.E. Joaquim Martins Gusmao, Minister of Agriculture and Fisheries, highlighted the importance of aquaculture in addressing poverty and malnutrition in Timor-Leste and congratulated farmers on their achievement. “WorldFish and the New Zealand Aid Programme have played a pivotal role in aquaculture development in Timor-Leste through technical and funding support, respectively,” he said. Sustainable intensification of GIFT farming will benefit an increasing number of producers and consumers as the activity is scaled up across the country. To achieve this scaling, other actors will likely be engaged. Rui Castro, a private sector livestock feed producer, has already expressed an interest in producing tilapia feed based on low-cost feed formulations devised by the PADTL project that use locally sourced ingredients. GIFT was first supplied to Timor-Leste in April 2015 as part of the PADTL project. Developed by WorldFish, GIFT can grow 50–80 percent faster than other non-improved strains, requires no antibiotics and has a lower carbon footprint than either beef or pork. From a nutritional point of view, it is an affordable source of essential micronutrients. In parallel with the supply of GIFT, the project refurbished and upgraded the government hatchery in Gleno, Ermera. Previously, the hatchery produced 10,000–20,000 fingerlings a year. After the upgrade, the hatchery produced and distributed over 1.5 million GIFT fingerlings to more than 700 farmers across 11 municipalities. The hatchery is considered a crucial part of Timor-Leste’s National Aquaculture Development Strategy (2012–2030), which aims to reduce undernourishment by increasing per capita consumption of fish from 6 kg to 15 kg by 2020.